Would you buy a Snapchat smartphone? 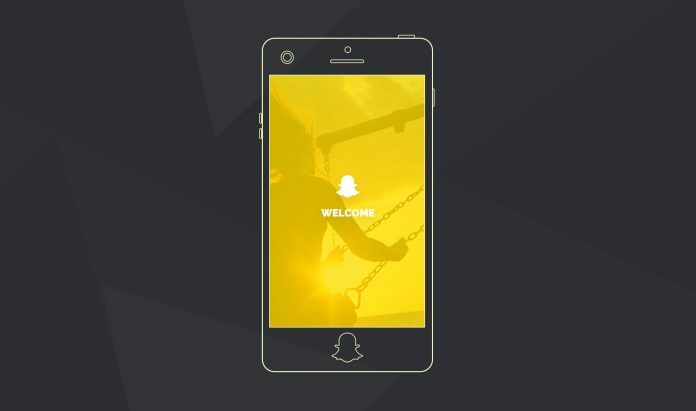 Snapchat is a popular mobile app that allows users to send pictures and videos, which automatically self-destruct after the recipient views them. But even if Snapchat is widely used today, it doesn’t mean the public will continue to be loyal to the app forever. And the company behind Snapchat – Snap – knows this very well. While Snapchat has experienced tremendous growth since inception, significant slowdown is on the horizon. With competing apps like Facebook and Instagram adding Snapchat-like features including stickers and disappearing photos and videos, Snap will have to search for alternative ways if it wants to stay relevant. Could Snapchat’s salvation come from hardware products? 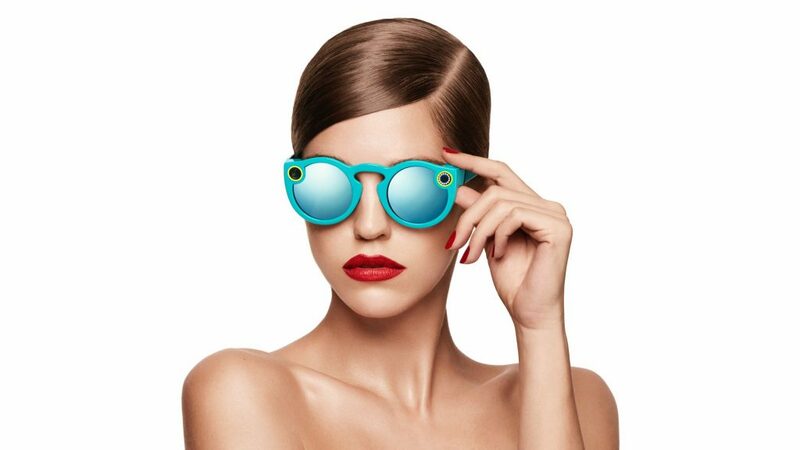 After all, the company already offers Snap Spectacles – a pair of smart glasses which allow you to record 10 second Snaps. But this could be just the beginning. Actually Snap’s recent IPO does indicate the company isn’t all just about the app – it’s also interested in developing hardware. What if Snapchat tried developing a dedicated smartphone? It’s not a new idea. Back in 2013, Facebook teamed up with HTC to create the first Facebook-centric phone called HTC First – a handset pre-loaded with Facebook’s own user interface and Facebook Home instead own HTC’s own Sense. Despite being quite a flop, the phone could inspire companies like Snapchat to create something superior. 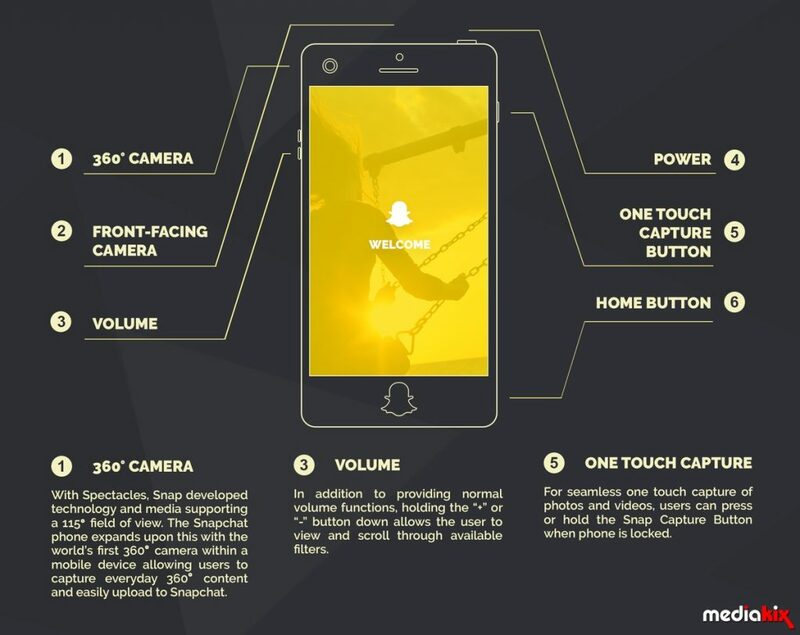 If you are curious how a Snapchat smartphone would end up looking, marketing firm Mediakix is offering us a glimpse into a possible future (as they believe a phone is truly lineup in Snap’s future). They have imagined a phone which comes equipped with a Snapchat logo shaped home button and a 360 degree cameras, as well as volume buttons owners could use to scroll through Snapchat Lenses. Obliviously, everything about the phone would spell Snapchat. 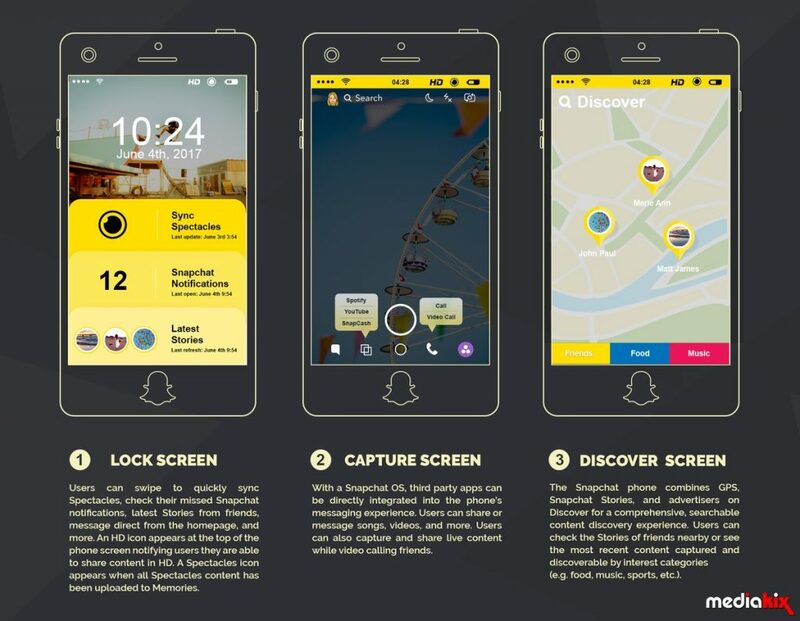 As you can see in the concept images such a phone could arrive bundled with Snapchat OS and a home screen designed to diligently alerts users of any new stuff happening on Snapchat. Even if this concept is fun to look at, we’re not really sure whether a Snapchat would be able to succeed, given how competitive the market it. Sure, the phone might sound promising for Snapchat enthusiasts, but even they might get bored of constantly being bombarded with Snapchat updates and feats. A Snapchat phone sounds like a way too specific device and most customers prefer versatile, can-do-it-all type of handsets instead.